A lovely wooden frame to display that all important or memorable photo from any occasion and making for a special gift for a mum. 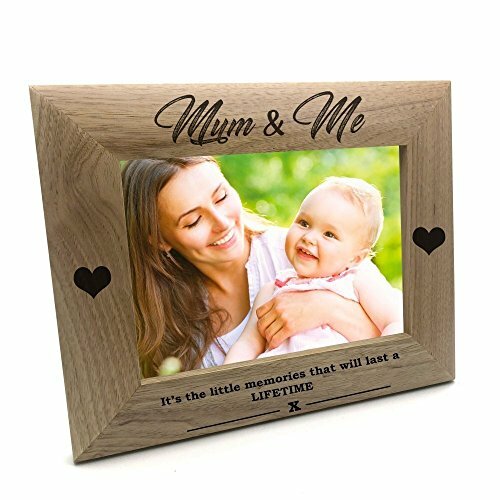 The frame has a solid wood finish with the engraving of “Mum and Me” and “It’s the little memories that will last a LIFETIME” on the bottom part of the frame. Please select the photo frame size you require, the sizes are for the photo size. Any wording can be changed to the wording of your choice.